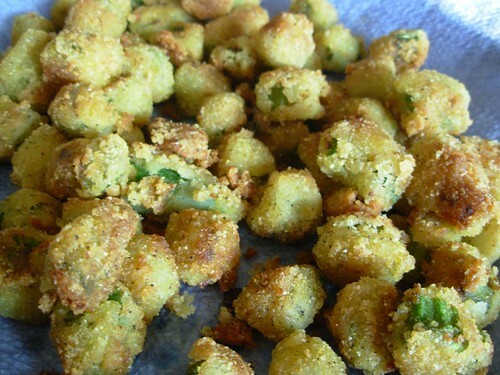 fried okra, originally uploaded by thisvintagechica. When we first got to Texas and I was worried about having things to blog about (needless worry, I tell you) and I mentioned posting some good old fashioned Souther recipes. 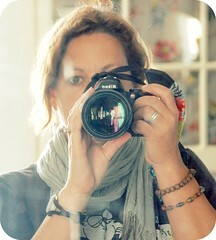 I have been thinking about which recipes I should post. And if I were having y'all over for dinner tonight, this is what I would serve. How does that sound? Dinner is promptly at 6 p.m. Be here or we're eating without you. So every other day or so I'll be posting a recipe in between other posts. First off is fried okra because number one I love it, number two okra is very a very traditional Southern vegetable, and here in Texas we fry just about everything! Okra was originally brought to America from Africa, brought over by the slaves. 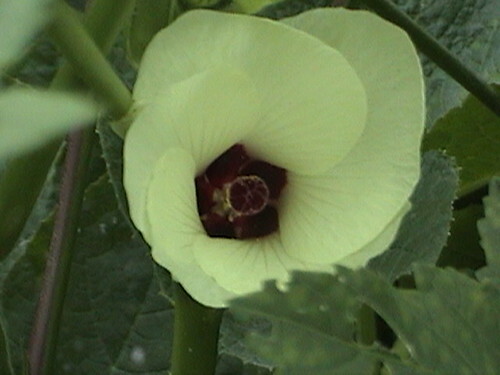 It adapted to the South's hot and sometimes dry climate, although I actually grew okra when we lived in Wisconsin. The okra plant gets to be pretty tall averaging about 3-4 feet and it produces a really pretty, rather large yellow flower. 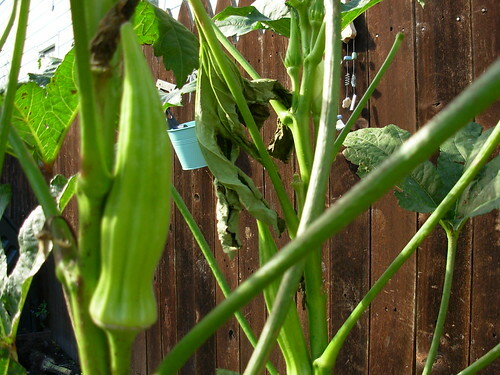 It is best to harvest your okra early as with many veggies, it tends to get tough and stringy otherwise. As you slice into a piece of okra you might notice it is a bit slimy. But don't let that turn you off to this often neglected vegetable that is high in unsaturated fats. If you have ever tried okra, you might not have liked it because of the stickiness. In Louisiana, they add okra to gumbo and stews as it acts as a great thickener. I have seen okra pickled and stuffed as well. Im not sure about any of these other recipes, but if my okra is fried...I can eat my weight in it. 1. Wash okra thoroughly, cut off stems and cut diagonally into 1/4 inch slices. 3. Heat 1/4 inch oil in a heavy skillet, an iron skillet is perfect for this if you have one. 4. Add okra and fry over moderate heat turning it frequently so most all of the pieces brown evenly. 5. As they come out of the skillet, drain on a paper towel before serving them. 6. A little more salt and/or pepper may be added to taste, but I like mine without anything else added.